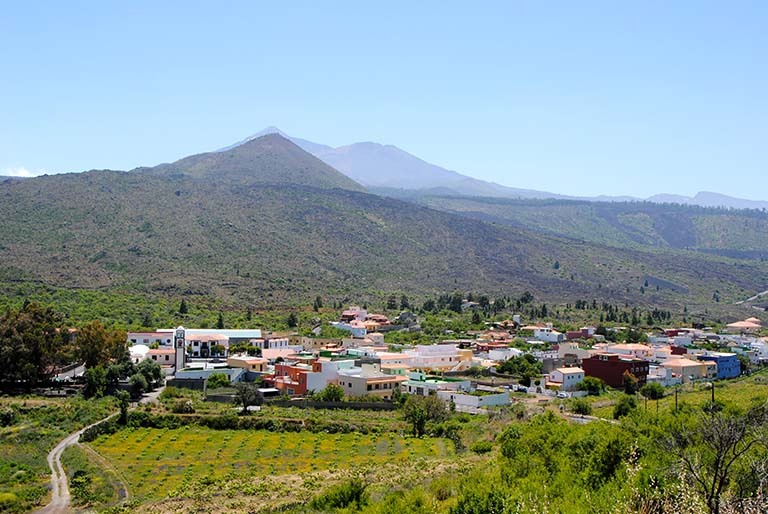 The proposed route starts at the town of Buenavista del Norte, declared a Site of Cultural Interest, and runs mostly through the Teno Rural Park, a natural area of outstanding beauty where traditional architecture integrates naturally into the landscape. On the visit to the historical town centre of Buenavista del Norte you will discover a lovely little town with a rich heritage. 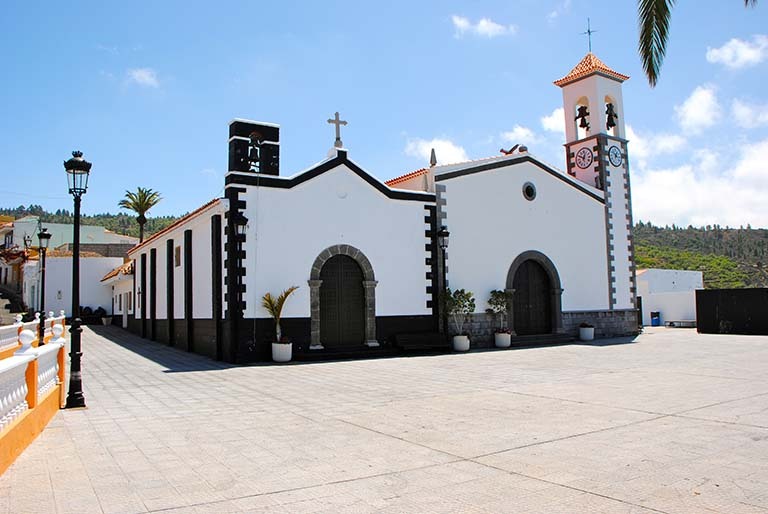 Declared a Site of Cultural Interest, categorised as a collection of historical buildings, it includes prominent specimens of traditional Canarian architecture. The layout of its streets tells us of the Andalusian influence of its founders who settled in the area attracted by the cane sugar mill that was operated here. El Palmar, which in the past was the seat of major cereal production, is a significant village founded by the Castilian conquerors and whose residents have managed to keep alive many of their traditions, the most outstanding of which is the dance of "The Liveries". The next stop n the tour takes you to visit the Los Pedregales Visitor Centre located at the farm of the same name. To get there, leave El Palmar via the TF-436. After a few metres you will see a sign indicating the direction for Teno Alto and Los Pedregales. 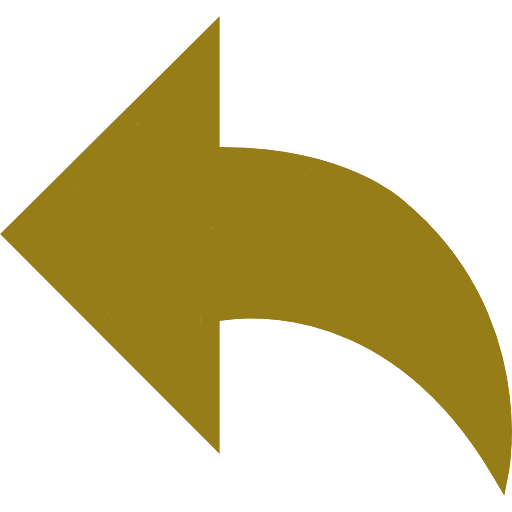 Turn right and you destination is only 150 m further on. The Altos de Baracán viewpoint, on the mountain tops of the Teno massif, offers you an excellent panoramic view of the El Palmar valley and its farming landscapes. The information panels at the viewpoint explain something of the local area. Los Carrizales is another small and picturesque village situated in this case on the south-facing slope of the Teno massif. The climate is warmer, although mild, and the vegetation less lush. 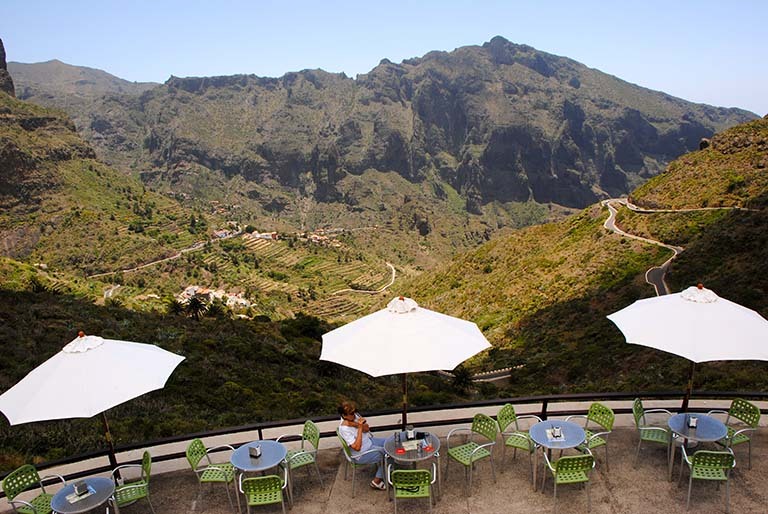 From the Cruz de Hilda viewpoint you can enjoy an excellent panoramic view of the village of Masca set among its characteristic deep ravines. 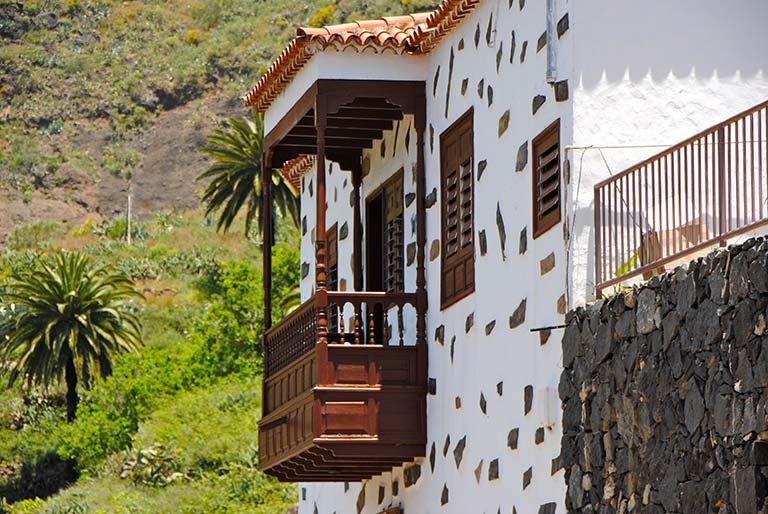 The village of Masca is situated within the Teno Rural Park, in the municipality of Buenavista del Norte, and is one of the best examples of traditional Canarian architecture. 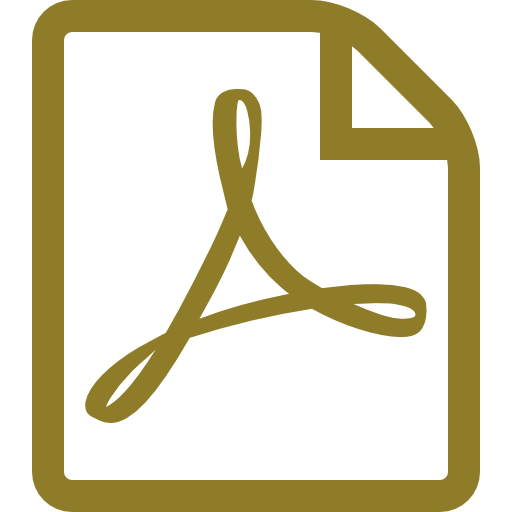 Dirección:La Caleta del Interián. Los Silos. Dirección:Finca de Los Pedregales. Access road to Teno Alto (Upper Teno). (TF- 436) km marker 6. Valley of El Palmar. Buenavista del Norte. Dirección:Teno Alto, Buenavista del Norte.